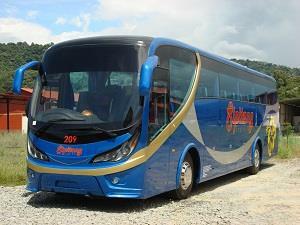 Sipitang Express and Jesselton Express specializes in cross border express bus services. Their bus Service include Kota Kinabalu to Lawas and Limbang, which are the cities in Sarawak and Kota Kinabalu to Bandar Seri Bagawan in Brunei. Jesselton Express is the only service provider who offers cross border bus services between Kota Kinabalu and Bandar Seri Bagawan in Brunei. 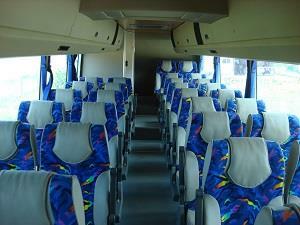 Besides that, they also provide bus to Menumbok from Kota Kinabalu. Menumbok is the gateway (or jetty) to Labuan Island which is one of the tax free destinations in Malaysia. Both Sipitang Express and Jesselton Express buses are equipped with air conditioner, reclined seat and sufficient leg space. Their coaches have a reputation of providing affordable transportation and comfortable & safe journey to destination for their passengers. By joining BusOnlineTicket.com, Sipitang Express and Jesselton Express can now offer the online booking service for the tourists and locals.